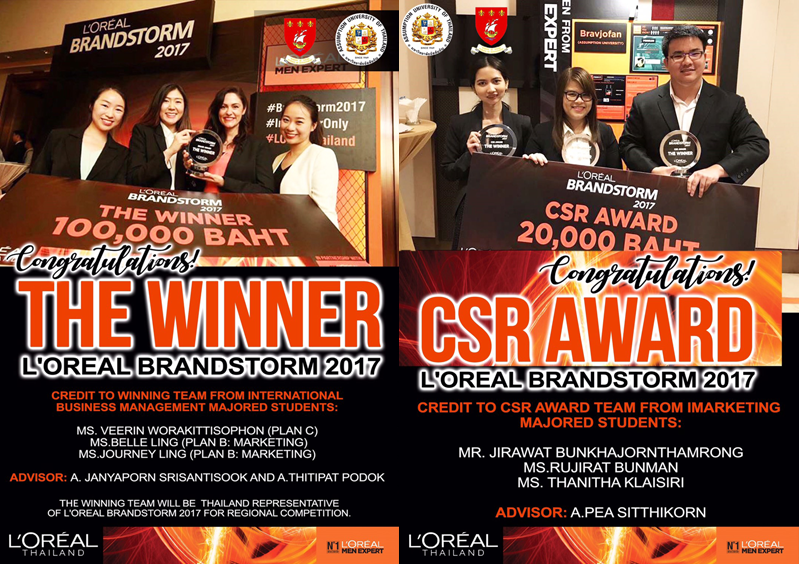 Congratulations to the two teams from the Martin de Tours School of Management and Economics (MSME) Assumption University who clinch two out of three awards from the L'Oreal Brandstorm Competition 2017; The First Prize and the CSR Award. The five finalist teams comprise of two teams from Assumption University, two teams from Chulalongkorn University and one team from Thammasat University. Credit to Winning team from International Business Management Majored students: Ms. Veerin Worakittisophon (Plan c) Ms.Belle Ling (Plan B: Marketing) Ms.Journey Ling (Plan B: Marketing) Advisor: A. Janyaporn Srisantisook and A.Thitipat Podok and CSR award from Marketing majored students: Mr. Jirawat Bunkhajornthamrong Ms.Rujirat Bunman Ms. Thanitha Klaisiri. Advisor: A.Pea Sitthikorn. The winning team received a prize of 100,000 Baht and the CSR awards received 20,000 Baht. This year the winning team needs to pass regional competition firstly before being selected to the world competition in Paris. Thank you for L'Oreal Thailand who open stage for students to show their talents and innovative thinking. 'Chemerical' is also among 10 teams selected to represent Asia Pacific Region. Chemerical will now represent Assumption University and Thailand in the international final round of L'Oreal Brandstorm competition during June 14-16, 2017, in Paris, France. This international competition has been hosted by L'Oreal for the past 25 years with approximately 95,000 students from 58 countries as participants.  For this year, the challenge is to DISRUPT MEN’S GROOMING WITH LIFE-CHANGING INNOVATION. With an innovative and viable product idea, a clear and solid branding strategy, coupled with the team's outstanding and tactful presentation skills, Chemerical has been awarded Thailand's winner. The team has been closely supervised by faculty members from IBM department and guided by Marketing department.